Let’s face it, we love showing the world what we have or have accomplished. For those of you that own a GoPro, this task has become much easier to accomplish than others fumbling about with their camera phones while trying to find the finish line, navigate an obstacle, or flying down a mountain with fiberglass strapped to your feet. While wearing a GoPro, or any action cam for that matter, is one thing; getting it to and from your venue is another. That is where travel bags and specially designed cases like AmazonBasics Carrying Case for GoPro come in. I am going to foster a guess here and assume that most of you reading this have heard of Amazon. However, there are a surprising number of people that didn’t know that Amazon had their own line of products, essentially a store brand of sorts. Walmart has Great Value, Target has Market Pantry, Costco has Kirkland Signature, and Amazon has AmazonBasics. AmazonBasics offers similar products to other “name brands”, but does so at a reduced price. For me, I purchased an AmazonBasics shredder that had comparable features to a name brand shredder, but it was half the cost. It still works, 4 years later. As I have started to accumulate a number of harnesses, batteries, mounts, etc. for my GoPro, I started to realize that I needed a method better than a plastic shopping bag to organize and cart them around me with. While there is no shortage of options out there for GoPro cases, many of them are far beyond the budget my wife affords me for miscellaneous “toys” as she puts it. I call them “essential life changing event facilitator and capture devices”, and if I don’t buy them I will simply melt into a semi viscous liquid. Let’s get some of the basics out of the way (you see what I did there? Amazon… basics…). 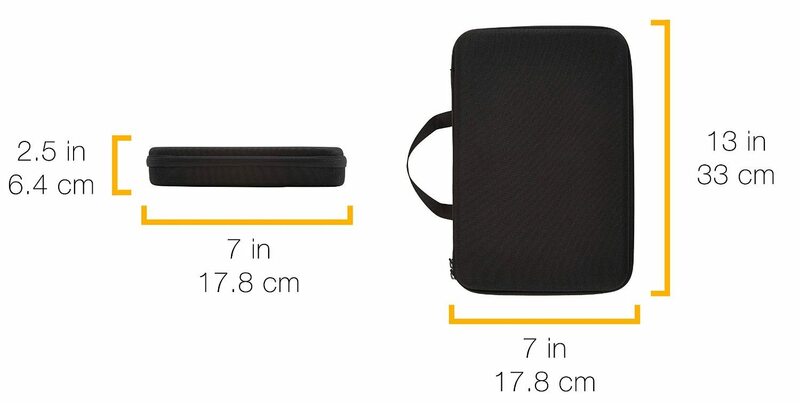 AmazonBasics offers their GoPro carrying case in two sizes, large and small. 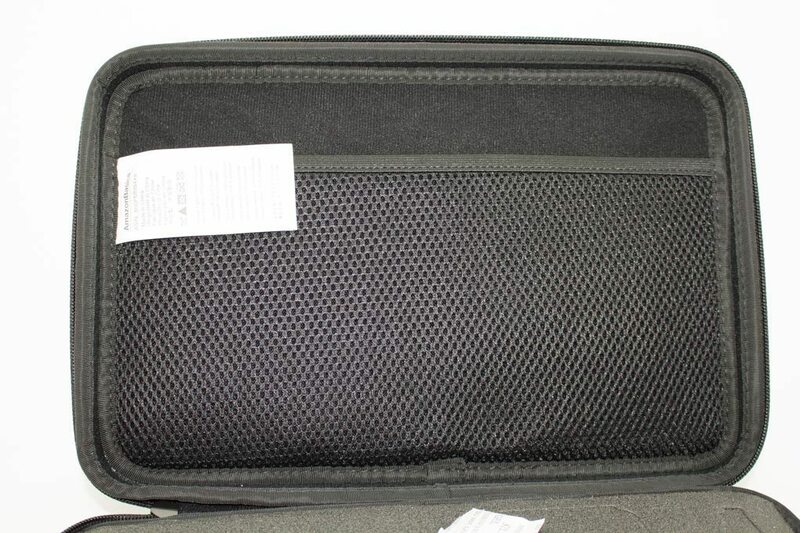 The large case, which I have in front of me, seems to be the more practical of the two. 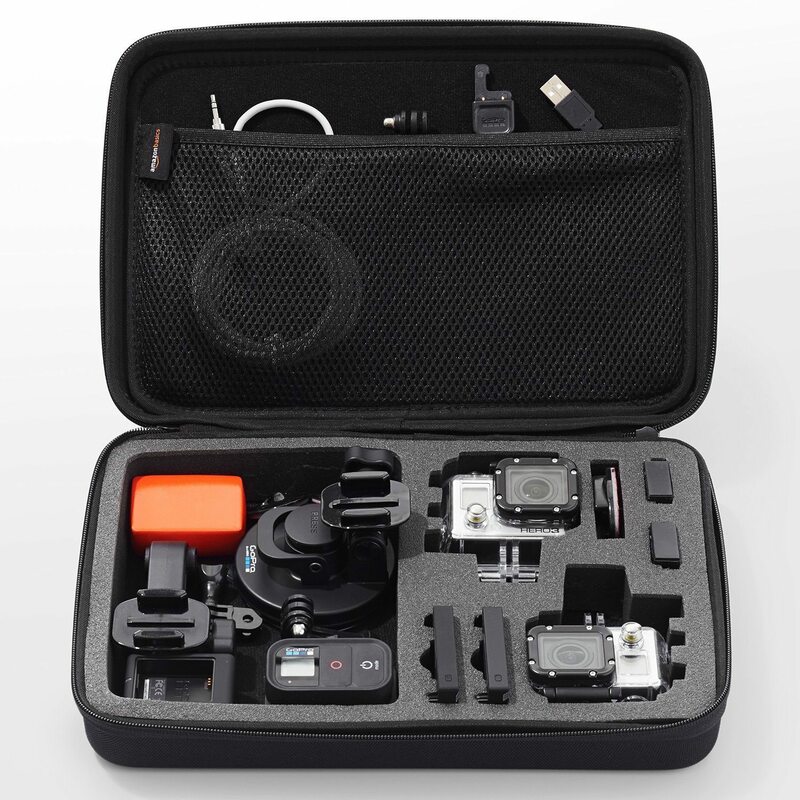 The case itself is designed to be able to cart around 2 GoPro cameras and some accessories. 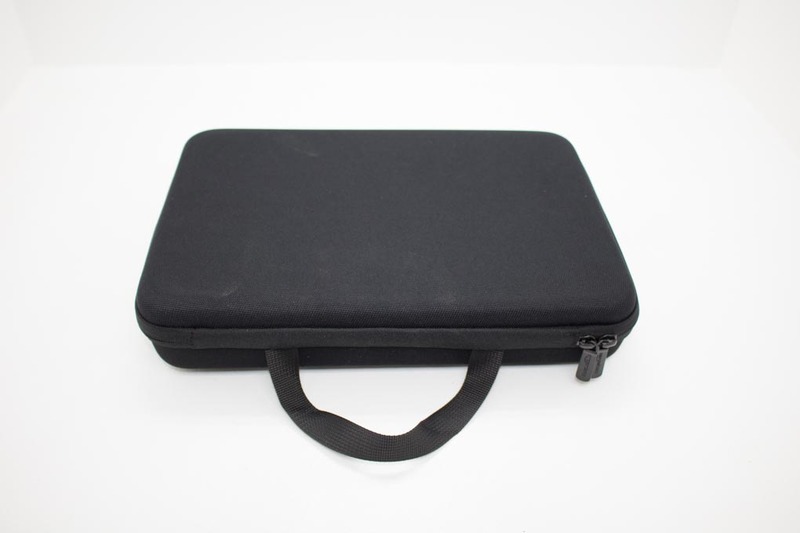 The case measures 13 inches x 9 inches x 2.5 inches making it small enough to be convenient. The case weighs in at just under half a pound and is offered in the universal color of black. 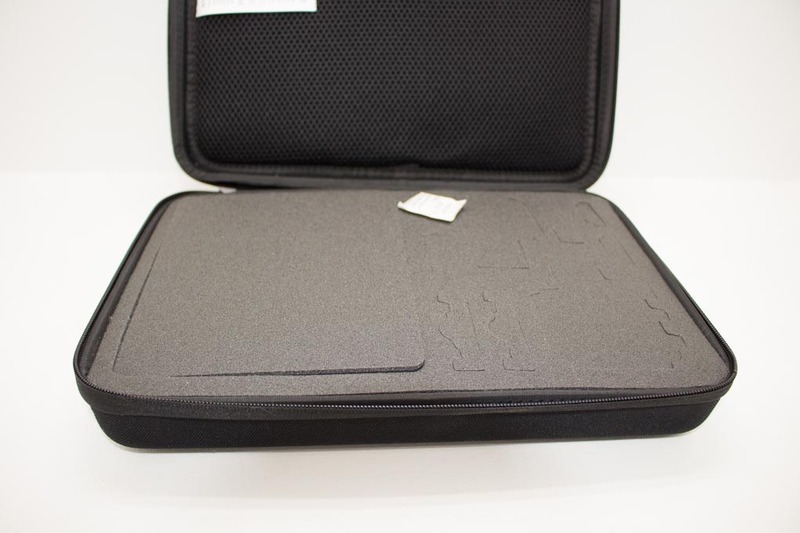 The exterior of the case is a semi rigid structure, offering up minimal protection. The idea isn’t to have this case floating in the ocean or falling from a cliff, it is instead intended to make its way around the world, country, state, or town in your vehicle or on your person. The case features two zippers with openings large enough to accommodate a small lock and the carrying handle is strong enough to carry the weight of the case plus its internal treasures. 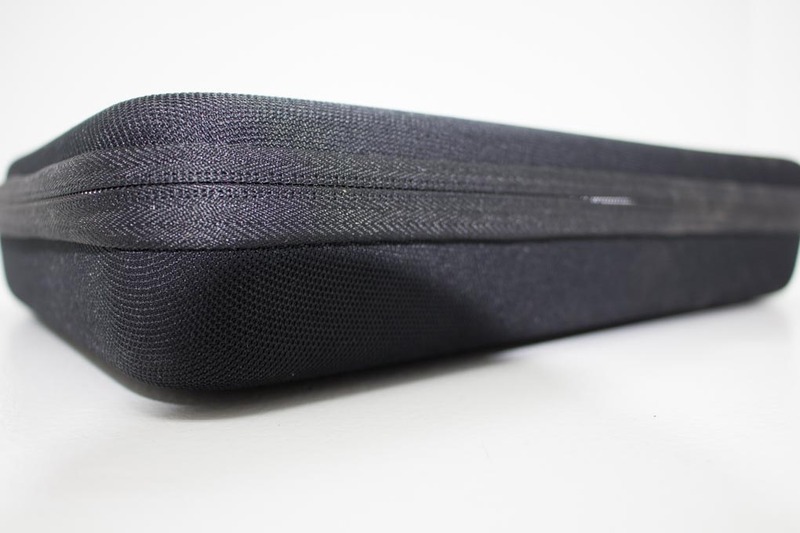 Inside, the case has a lid that opens to reveal an elastic mesh compartment that will allow you easily store and retrieve your various cables, small accessories, and quick reference guides. 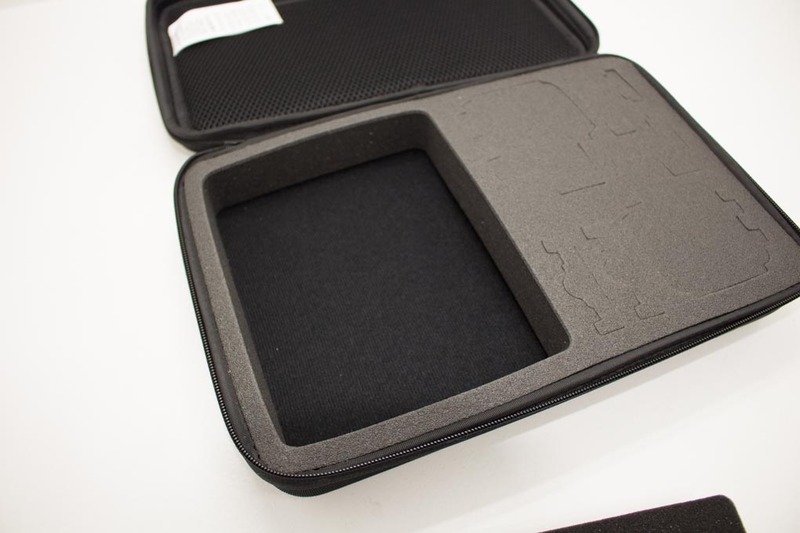 The rest of the case is 1 and 1/4 inch thick EVA foam with pre-cut slots. 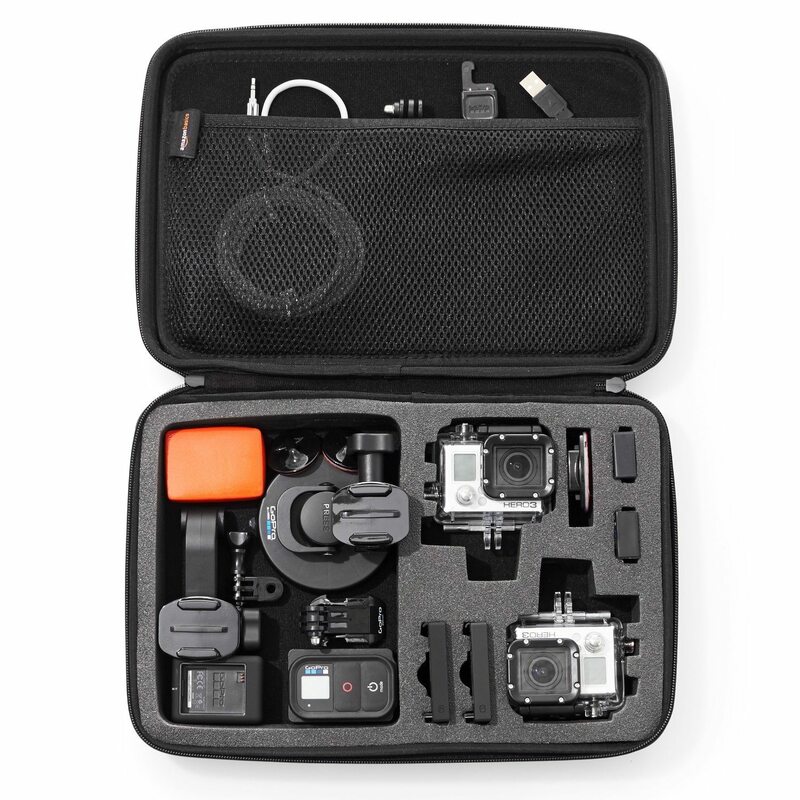 Only three of the available slots are easy to identify, two for GoPros and one for accessories. The other five slots are for .. um .. maybe .. well… whatever fits I guess. As far as use and function goes, there isn’t really much in the way of features. The case does what it does, inexpensively. When looking at options out there, there are plenty that do the job better, that do it with more style and flavor, plenty that even look better, but none of them can do it for under $13.00 USD. Yeah, that is right, this case is selling for $12.99, making it a ridiculous bargain. If you had to drop some of your hard earned cash on a system better than plastic shopping bags, you really can’t go wrong here. 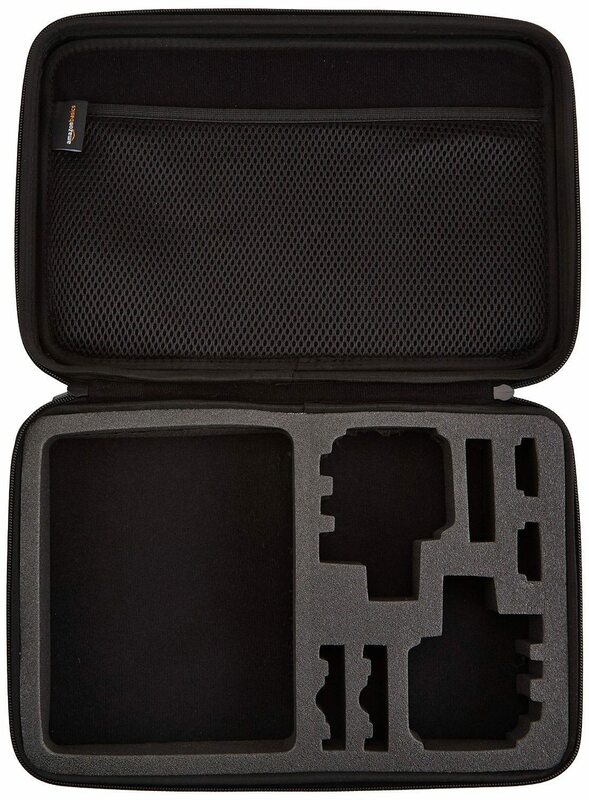 The case is well made, it looks good, and although the EVA foam cutouts don’t look like they are exactly perfect for your GoPro, when the thing is zipped up, nothing moves around. 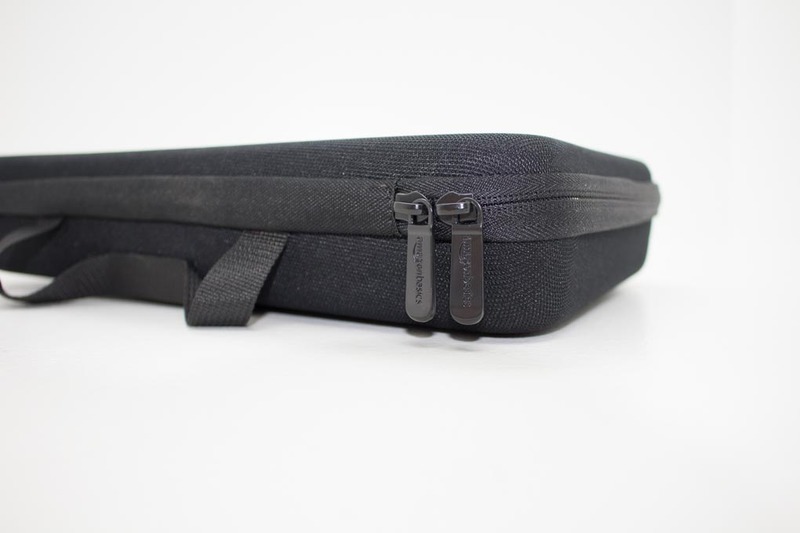 Bottom line, if you are looking for a carrying case on a budget, this is your guy.